The seven of hearts evokes a blurry moment in the consultant’s life. 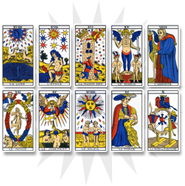 The near future seems uncertain as the seven of hearts relates to the incapacity to decide, dissatisfaction or the search for a better situation. 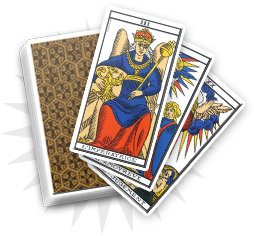 In cartomancy, the seven of hearts reveals inner pessimism and a lack of self-confidence. This card warns you about the dangers of resignation and renouncement. It shows the importance of not giving up and keeping an eye on the future. You are in a complicated situation and you wonder how to resolve it. The seven of hearts shows you the path to follow. You have to trust your abilities and believe in your future. 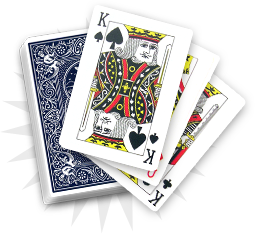 The seven of hearts warns you about pessimism, resignation and a wait-and-see attitude. You should not abandon the projects you have started, and if you are more self-confident you should be successful soon. In love, you have doubts and you are afraid that your problems could develop. Do not be afraid and stay focused on the future: “all things come to those who wait”. A trip should help you feel better. One of your relatives is about to get married or to get engaged. You will have to be there for that person to reassure him/her on the doubts he/she could have. 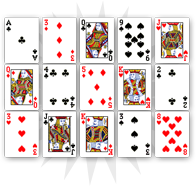 The seven of hearts evokes resignation due to a lack of self-confidence, and shows the dangers of a wait-and-see behavior. At the same time, this card reveals the feelings and the benevolence of your relatives. Indeed, they give you empathy and are here for you when you need them. Try to do the same thing when they are in difficulty.